Last month in July (14-23) the week was denoted as Love Parks week (#LoveParks) by Keep Britain Tidy, who have adopted the campaign since the demise of the charity GreenSpace. Its objective is to highlight the precious resource which we all use and, to some extent, take for granted. But of course, with funding cuts on the council, this is no longer an option. Love Parks 2017 seeks to encourage ownership of the care and maintenance of our green spaces by the local residents who use it. (Who hasn't seen a pile of litter in our local park and muttered, "Why don't the council clear this up?") The truth is that with enforced budget cuts our green spaces have never been as poorly funded, and yet more popular, whilst looking shabbier and more unmanaged. Hove Park's once carefully manicured flower beds now grow wild with weeds, Three Cornered Copse is mowed less, and litter bins aren't frequently emptied or mended. The City Park Rangers' responsibility expands wider and spreads thin across our city's green spaces. Hence "Love Parks" as councils seek to delegate responsibility to volunteer groups around the country. But the Friends groups have not got the skills in arboriculture, ecology or landscaping needed to maintain our parks to the standard that our predecessors did. In Friends of Three Cornered Copse we rely heavily on our Park Ranger to guide and advise, while we provide the hands required to clear and carry. It's a false economy, of course. City of Edinburgh research has found that for every £1 spent on parks there is a return of £12 in social, environment and health benefits. Not to mention the garden effect of parks on our city, increasing the biodiversity, reducing pollution and cooling the town in summer. 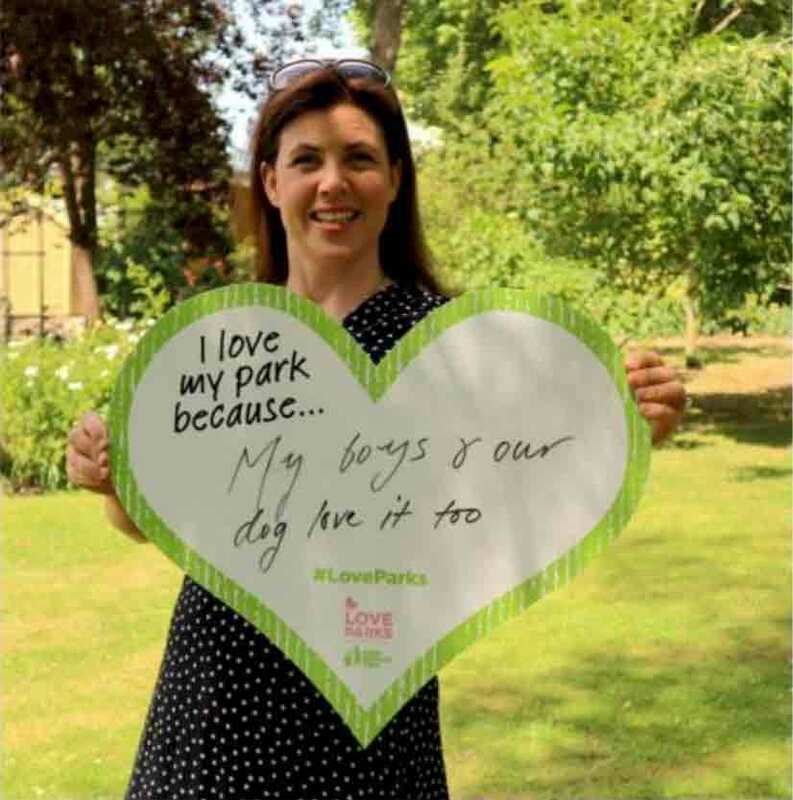 If you really do love your park, Hove Park, Three Cornered Copse, or Green Ridge, please join the Love Parks campaigns and consider contacting your local Friends group and get involved. But also, don't hesitate to contact your councillor to stress the importance of these precious spaces. A recent estimate is that we spend no more than £1.5bn on our public spaces or 0.15% of our public spending budget in England, Wales and Scotland, truly great value, and surely one of the last budgets which should be reduced, or even eliminated, as was recently announced by Bristol City Council.